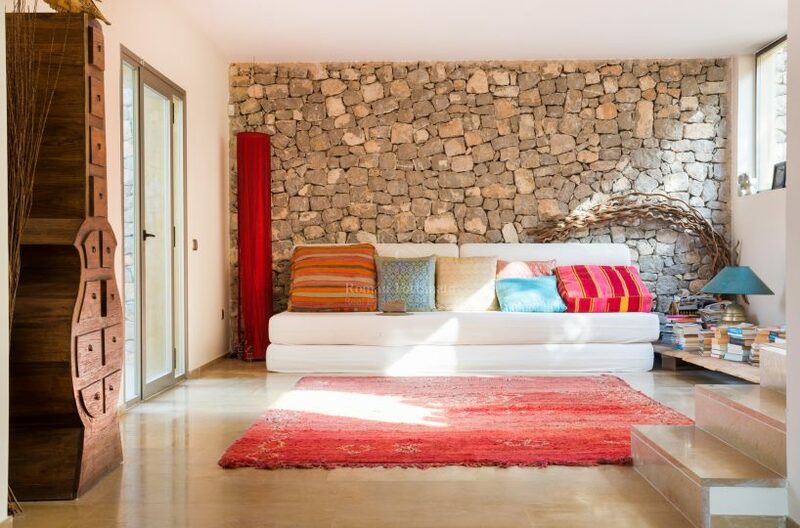 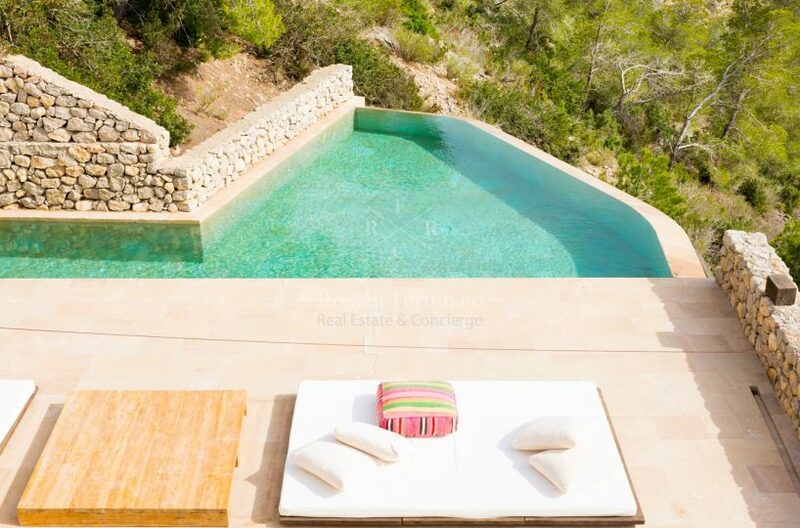 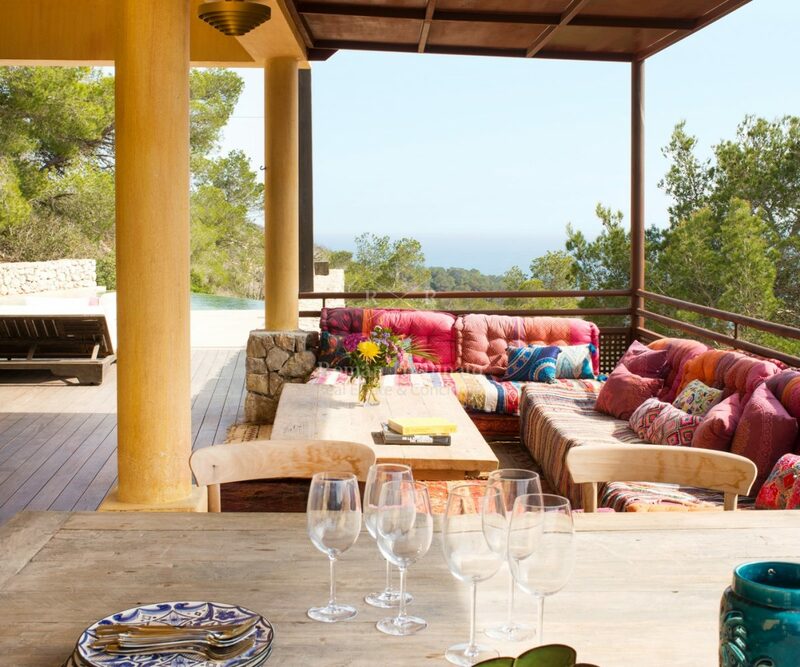 This Villa is a modern property sitting right above the sea few kilometers to the North of the city of Ibiza. 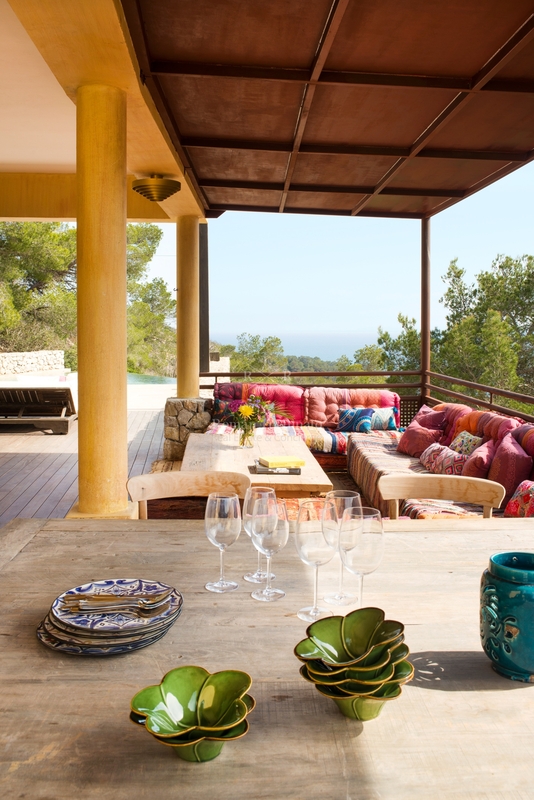 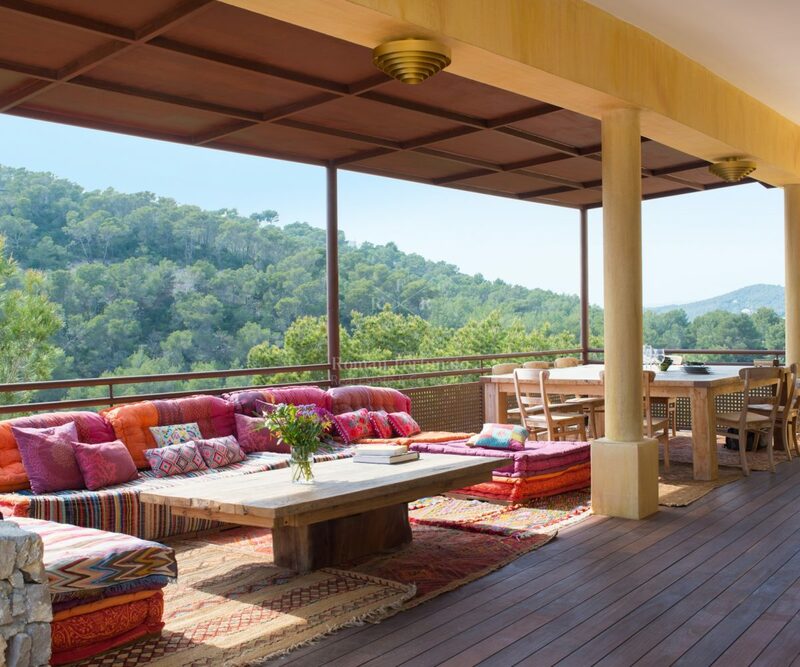 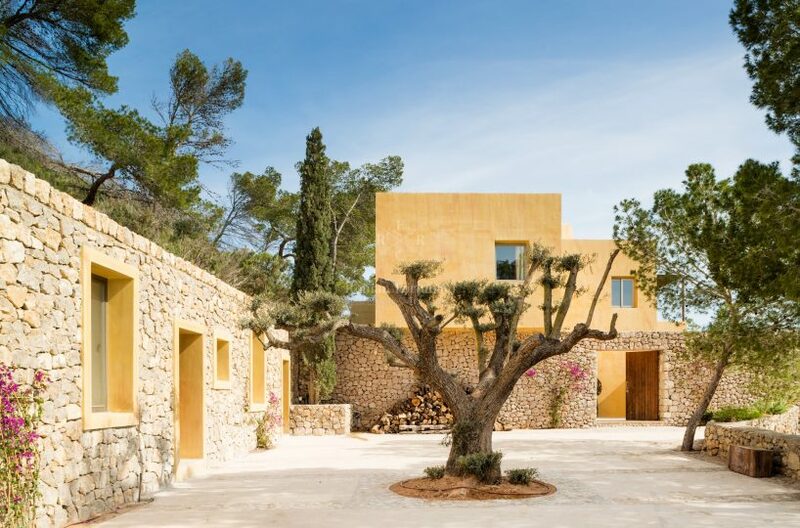 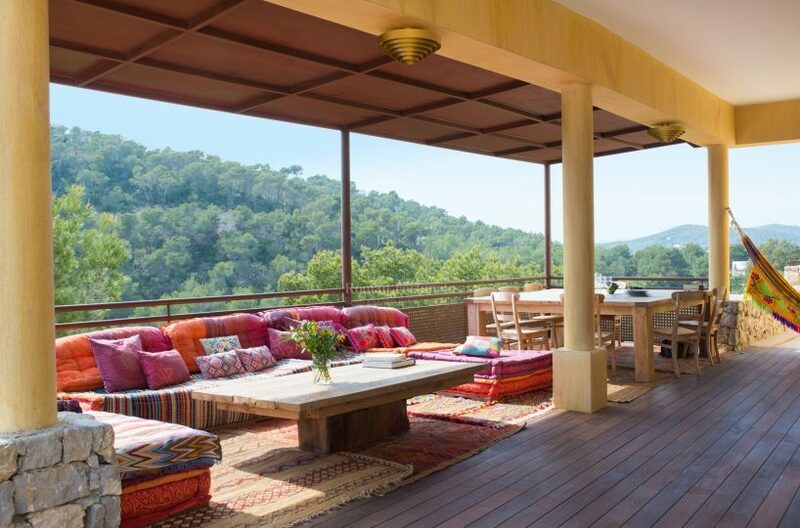 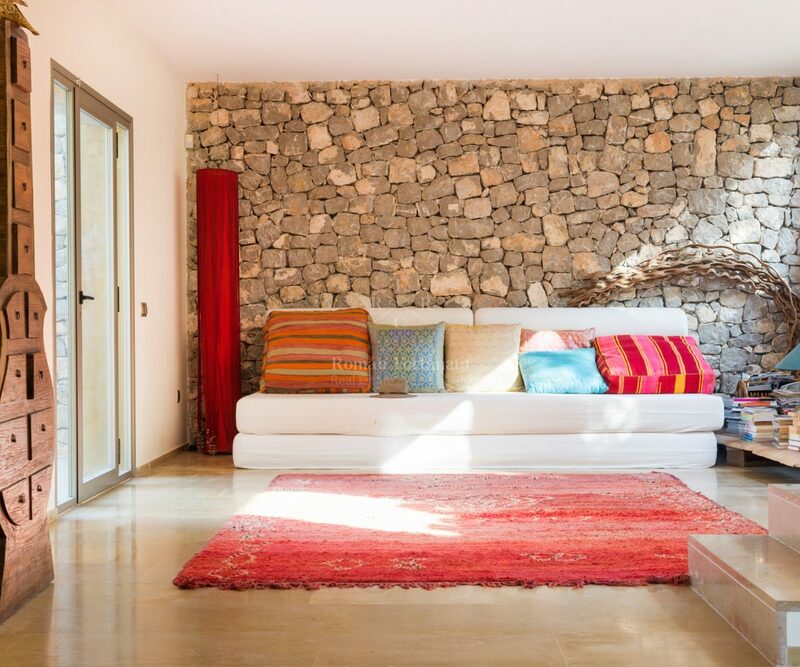 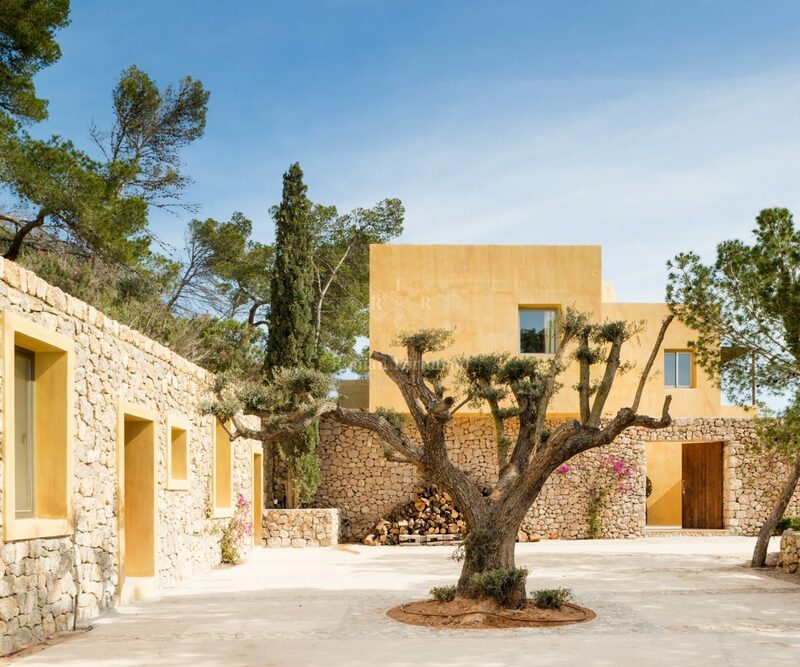 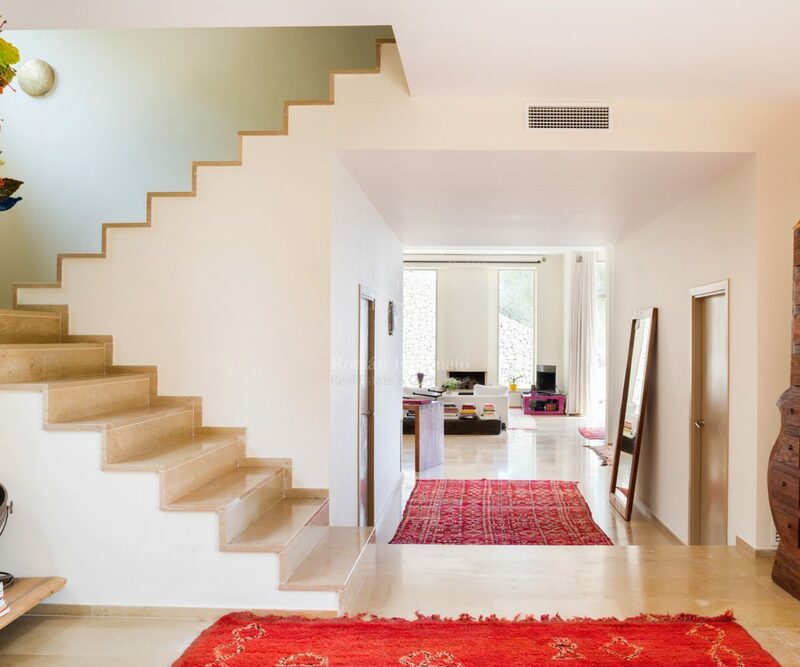 It is the only villa on this side of the mountain and enjoys fabulous views over the Mediterranean sea, the island of Formentera and forested hills. 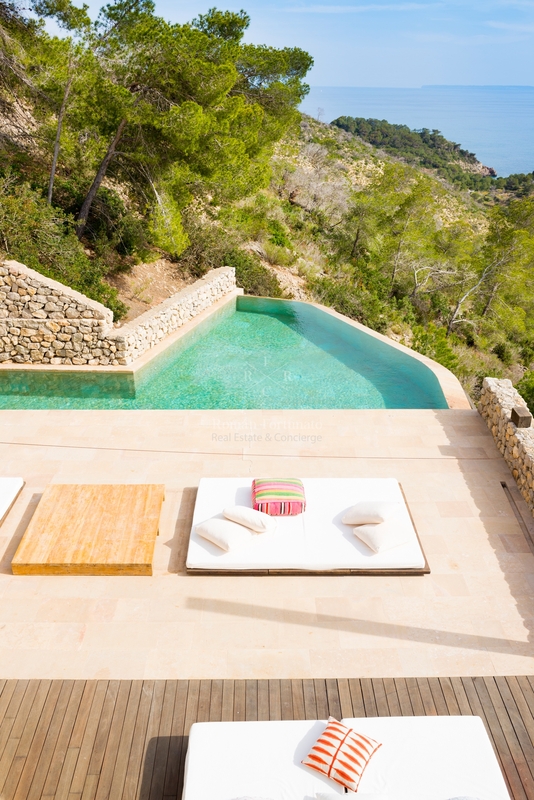 Clean lines, neutral tones and impressive volumes make this villa very special and extremely comfortable. 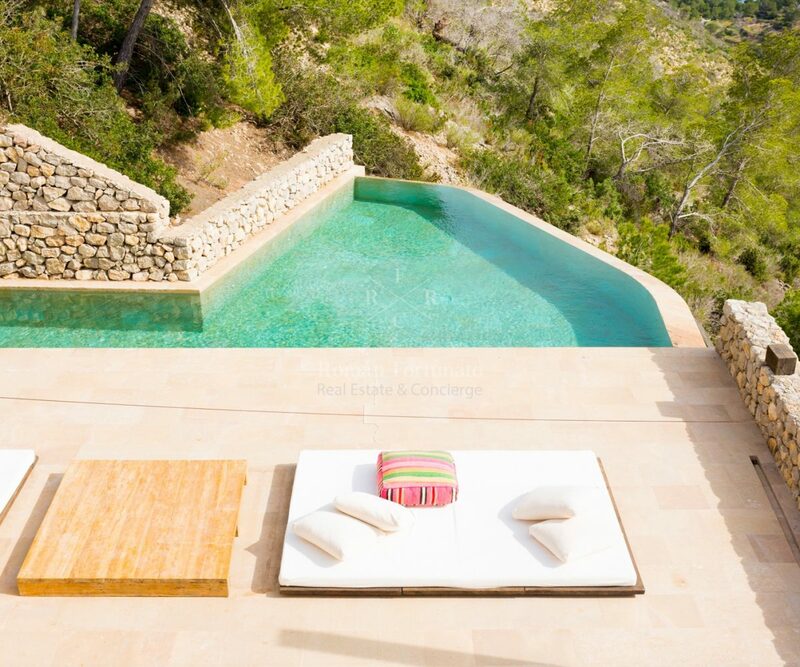 The cove of Cala Olivera is a short walk and the villa is only a 10-minute drive from Ibiza town. 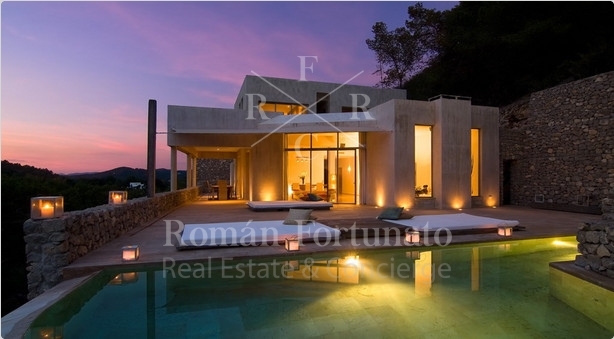 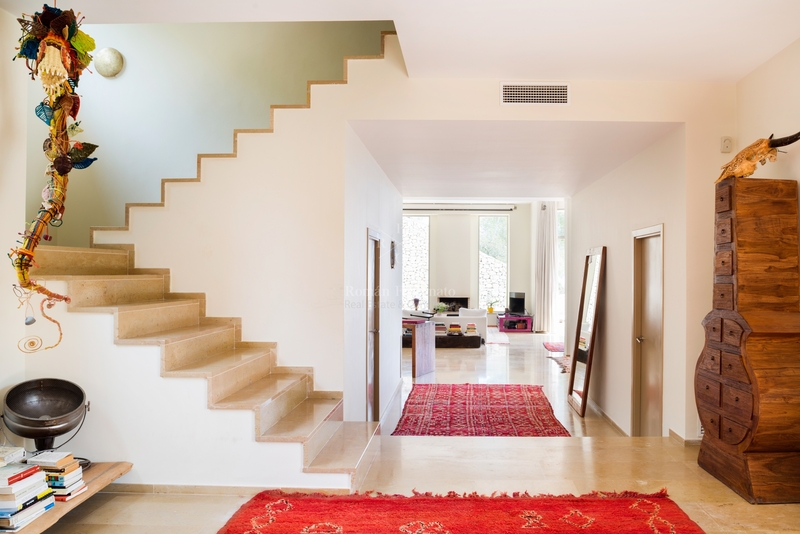 The property is provided with 480 m2 constructed on 30.000 square meters of wooded area. 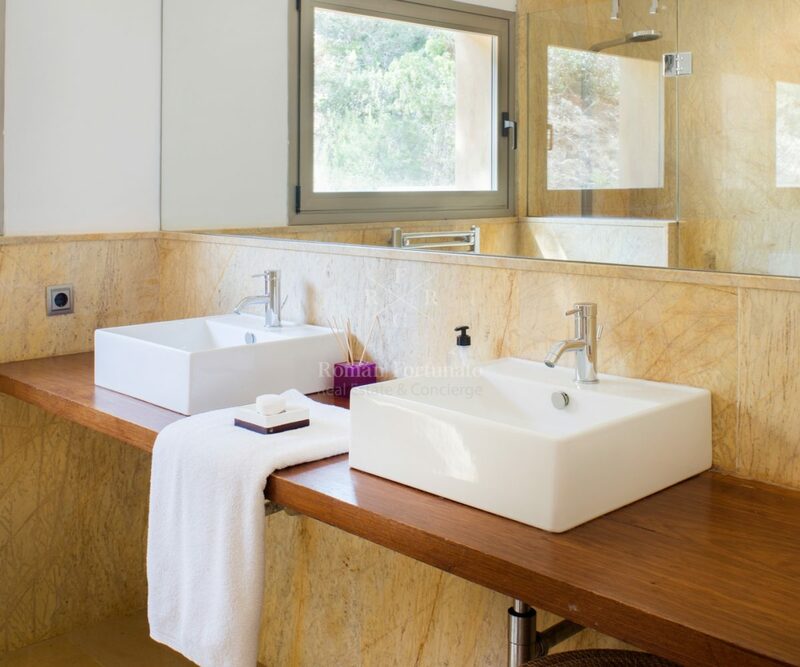 It has one entire of four suites with bath and two rooms of service. 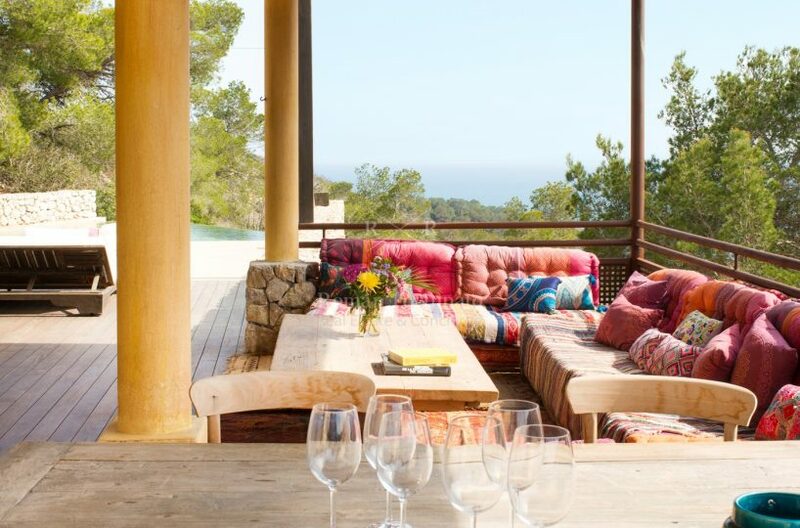 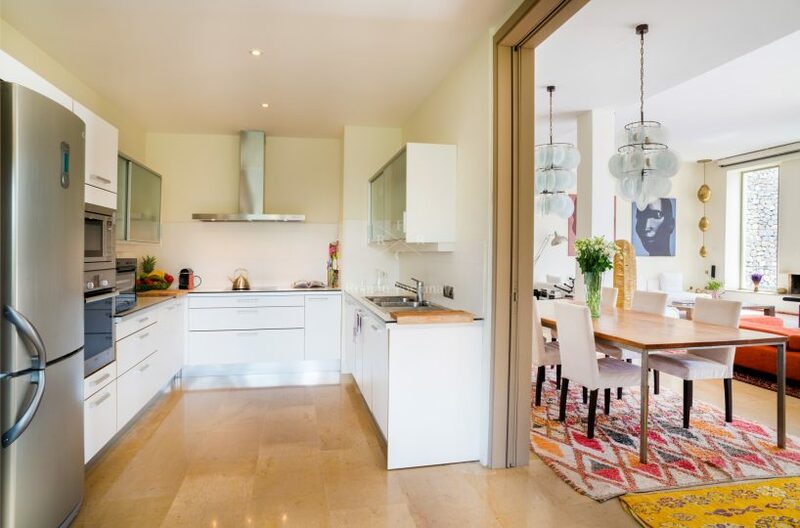 The first floor consists of a big open social area, which enjoys big large windows with a view to the swimming pool, the Mediterranean Sea, the coast of Ibiza and the Isla de Formentera. 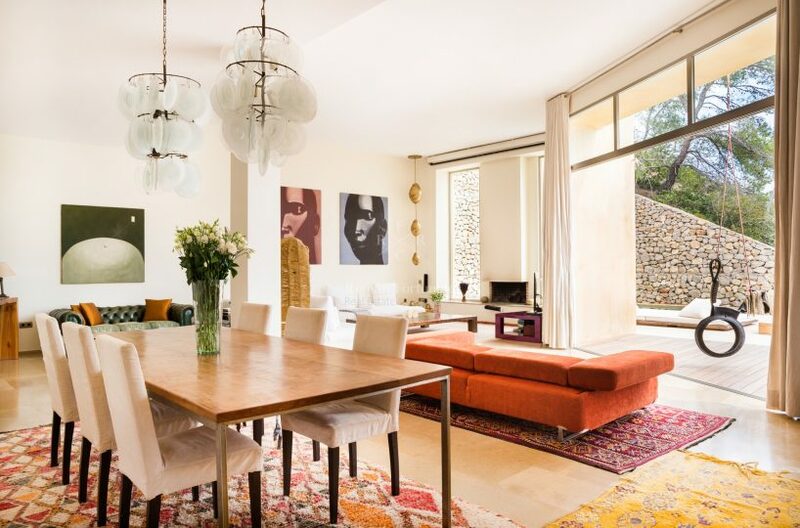 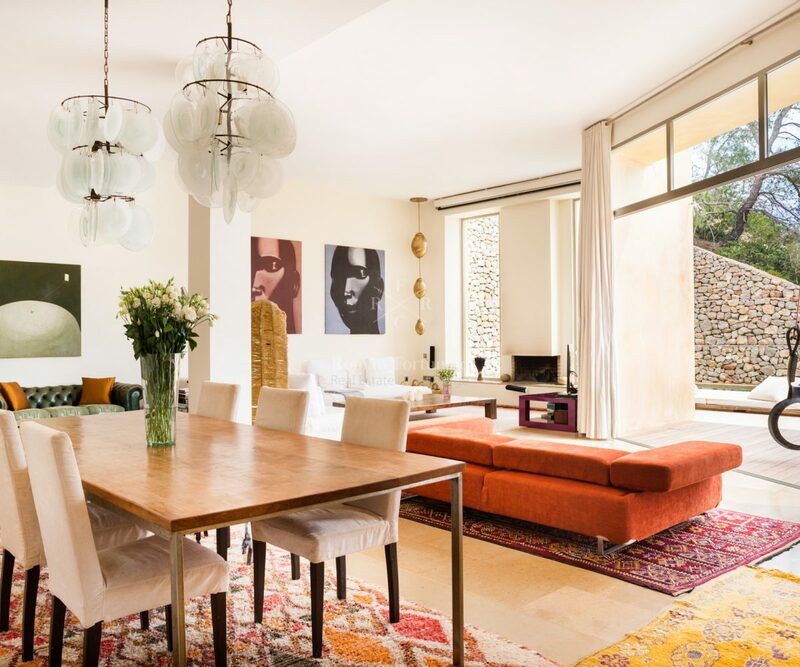 This space has a very high ceiling and is decorated in a modern and tasteful way with neutral tones and beatiful furniture from all over the world, constantly updated with new inspirations from the owners many travels. 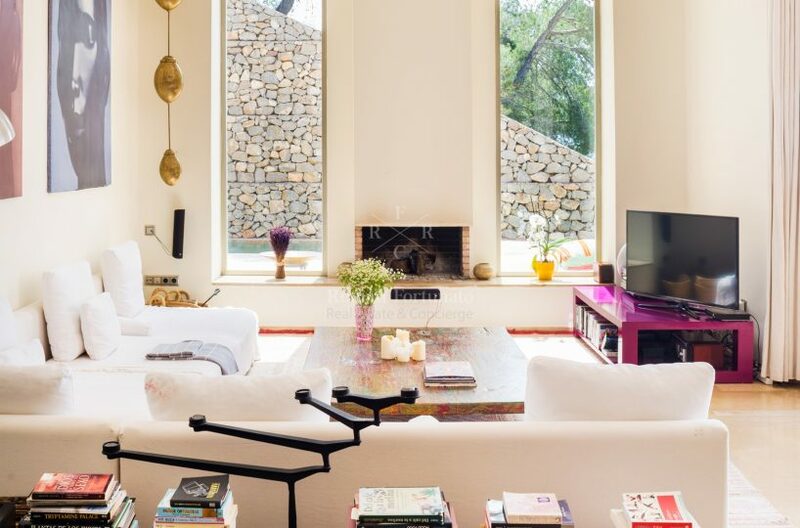 The stylish sofá-area has a large fireplace, HD Wall projector and flatscreen TV with both Apple TV as-well as all satélite channels and HI-FI equipment. 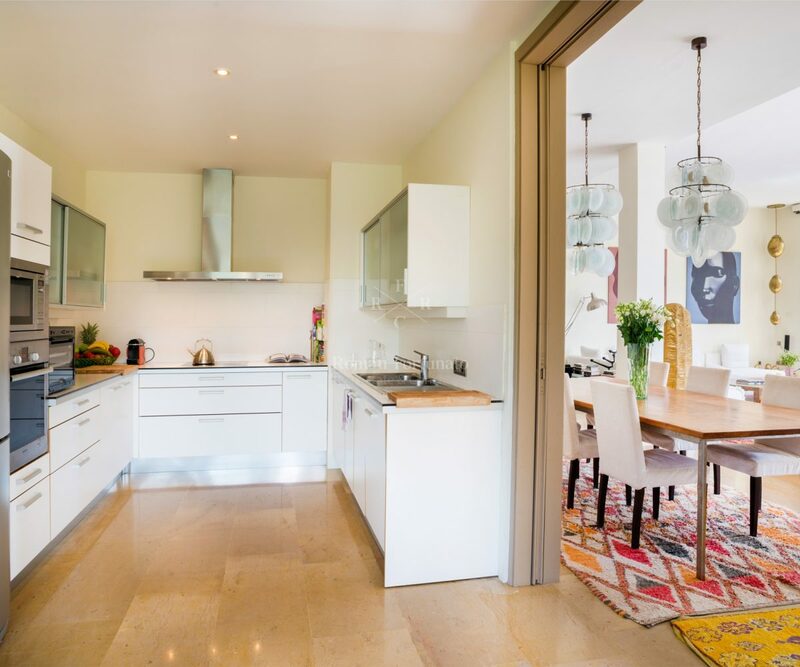 The dining área is located next to the fully equipped kitchen which also gives access to the staff quarters. 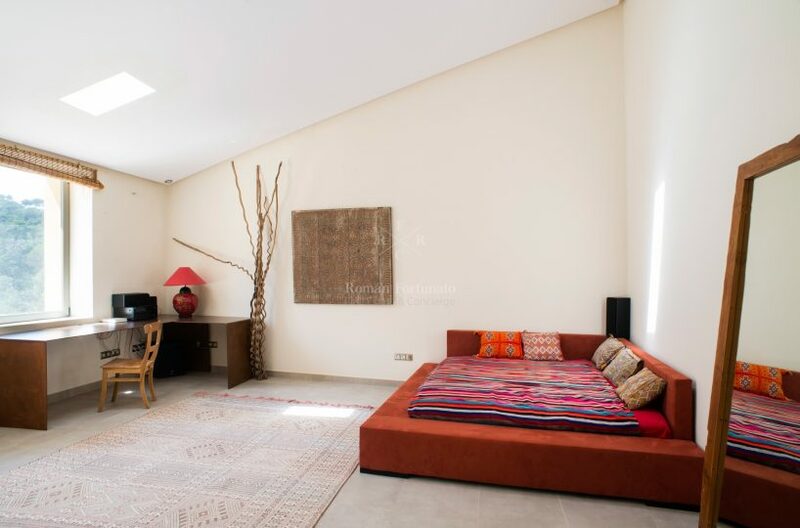 3 bedrooms are located on the first floor, including a large master suite featuring a large sun-terrace, LCD 55 inch TV with sound system surround and other two bedrooms with en – suite bathroom and a toilet. 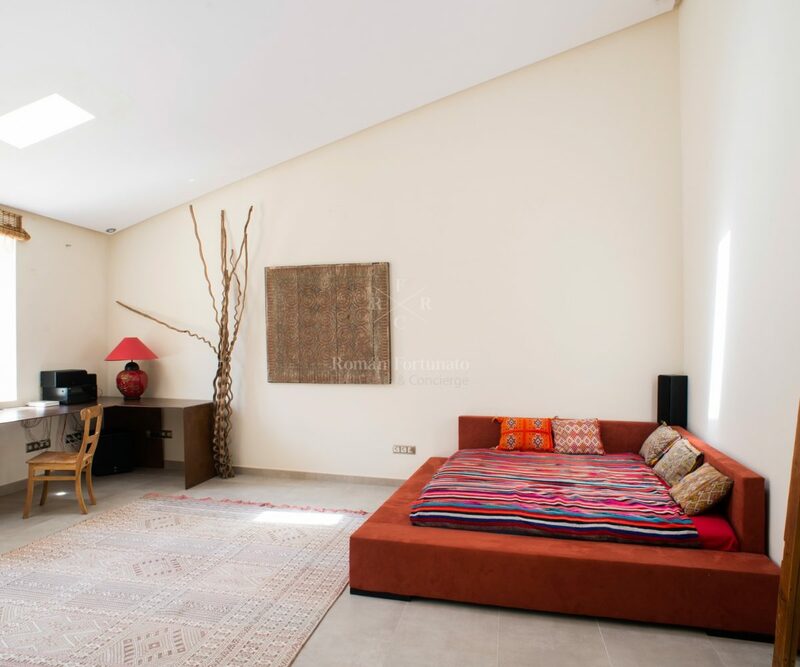 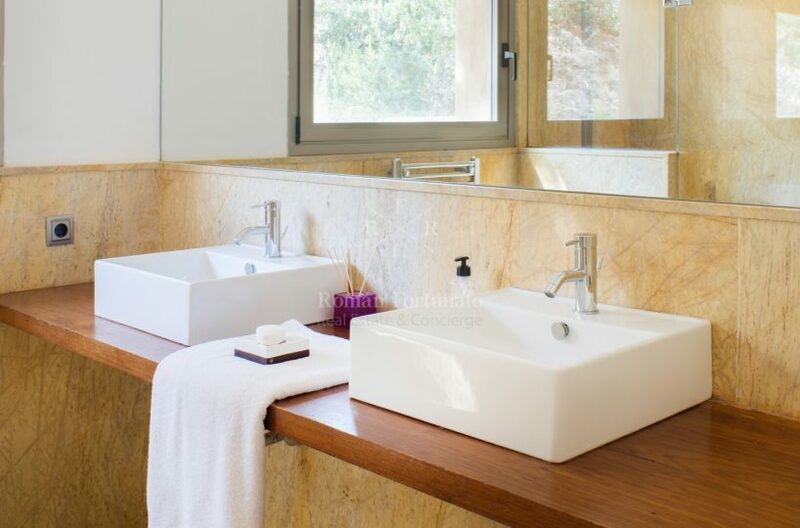 There are two rooms: a large room / Studio with high ceilings, bathroom en – suite and dressing room. 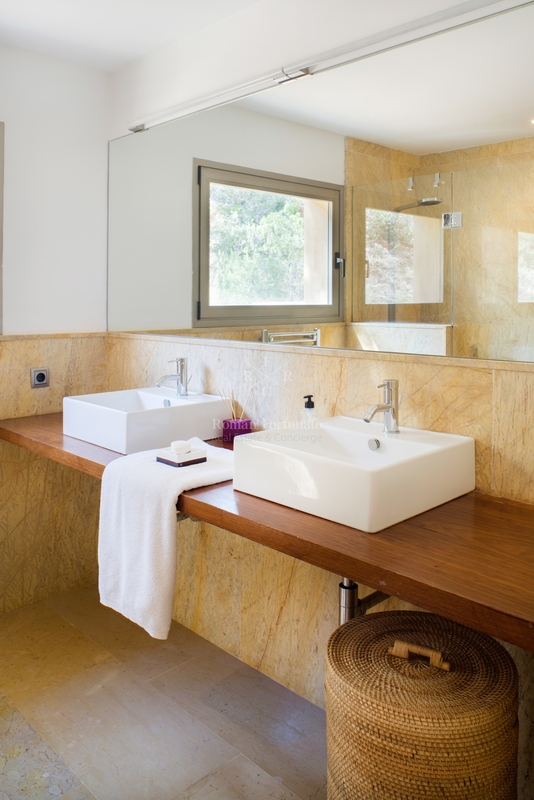 Another room with bathroom in-suite which is normally used to house service but can also be used as a fifth guest room.